This entry was posted in Enter The Wu-Tang: How Nine Men Changed Hip-Hop Forever and tagged Ebony, Enter The Wu-Tang: How Nine Men Changed Hip-Hop Forever, review. Bookmark the permalink. 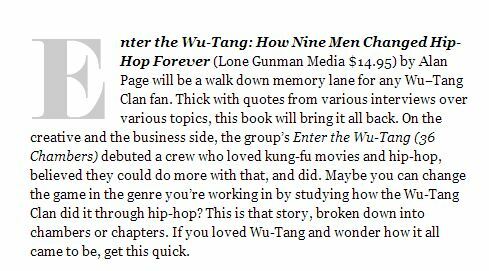 1 Response to Ebony.com Posted An Awesome Review of my Wu Book!